We have reached our R.S.V.P. capacity for this event. Please join our standby line - located outside the lobby entrance doors at Musco Center - starting at 6:30 pm on March 12 for an available seat. Please note: seating and section are not guaranteed and is based on unclaimed reservations. Dr. Stephanie Takaragawa, Moderator - Associate Dean of the Wilkinson College of Arts, Humanities, and Social Sciences at Chapman University. Joel Kotkin - Is a fellow in urban studies at Chapman University. He is a regular contributor to The Daily Beast and Forbes.com and is on the editorial board of the Orange County Register. Professor Lori Cox Han - Professor of Political Science at Chapman University. Dr. Han is the past president of the Presidency Research Group, an organized section of the American Political Science Association devoted to the study of the presidency. 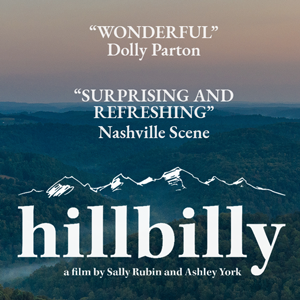 Sally Rubin, Filmmaker - Co-Director/Producer of hillbilly, is an Emmy-nominated documentary filmmaker. Rubin holds an M.A in Documentary Film from Stanford University and is an Assistant Professor of Documentary Film at Chapman University. This is a GENERAL ADMISSION performnace, please contact the Musco Box Office at (844) 626-8726 and speak with a knowledgeable representative or see an usher upon arrival for seating assistance.